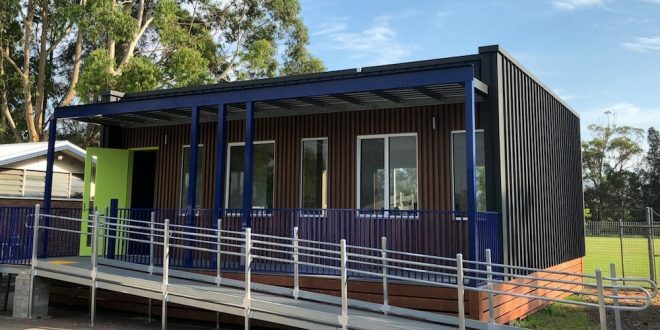 School children across Australia could soon be taught in classrooms powered entirely by renewable energy as a result of the innovative ‘Hivve’ modular classroom, now being trialled in two New South Wales schools. On behalf of the Australian Government, the Australian Renewable Energy Agency (ARENA) is providing Hivve Technology Pty Ltd with $368,115 in funding to pilot their modular classrooms in a school environment. Known as the ‘Hivve’, the portable classroom incorporates solar PV generation, real time energy metering, CO 2 metering, data capture and communications to actively manage energy demands and control indoor environment quality. Each Hivve classroom has the potential to generate enough electricity to power itself and two other classrooms in the school. classrooms will be monitored and evaluated over a 12 month period. A prototype building built by Hivve Technology Pty Ltd has successfully demonstrated the functionality in a controlled environment and this will be the first time the Hivve classroom and technology has been trialled in a real school. 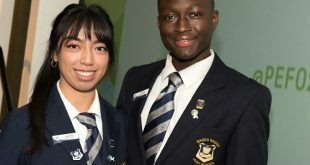 ARENA CEO Ivor Frischknecht said there was enormous potential for Australia’s public schools to not only educate on renewables, but also reduce their reliance on the grid. “The success of the Hivve project could lead to a nation-wide adoption of the modular classrooms, reducing reliance on the grid and even providing a significant amount of electricity back to the NEM.” Mr Frischknecht said. Hivve Director David Wrench said the Hivve Technology was conceived and designed to deliver sustainable solutions – both environmental and economic – to help meet Australia’s growing school infrastructure needs.